When it comes to property, Dwarka is Asia,s biggest residential colony and a hub of future buyers/investors. Spread across around 450 co- operative group housing societies/DDA pockets and a discerning population of approximately 6 lakh people at present , Dwarkaites are known to be the brand ambassadors of modern lifestyle and also are the potentail investors in these kinds of projects. 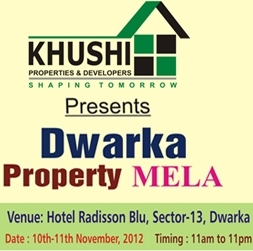 Dwarka Property Mela, the first of its kind event in Dwarka, is an initiative of khushi Properties & Developers that aimsat bringing investors & developers of Dwarka and adjoining area like Gurgaon, Dwarka Expressway (Gurgaon), Noida, Faridabad, Greater Noida, Indrapuram/ Vaishali (Ghaziabad), Noida Ext. etc can showcase thier project to a serious target audience and investors can get meaningful exposure to a bouquet of projects to make a customized choice as per their requirements. 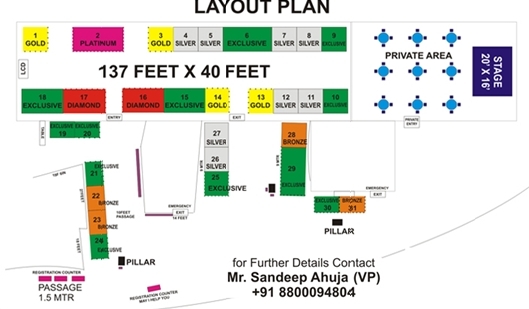 Dwarka Property Mela is planned in a very unique way where various developers and other related to the industry would get a chance to directly interact with investors of various social, economic and need spectrum. in other words, we can say it is beyond the traditional periphery of typical property mela and it a big success by setting a new benchmark in the field of real estate marketing.